All young and old men go to the village well to bathe on the first day of the festival and subsequent cleaning of the well is done by two young men during night hours. After the cleaning is performed, youth guard the well into the night to avoid anyone from fetching water. The womenfolk are strictly not allowed to touch the well water and are only allowed to see that water is fetched for the household before the cleaning of the well. We walk down to the little meeting hall where the young folks are decorating it in traditional fashion. 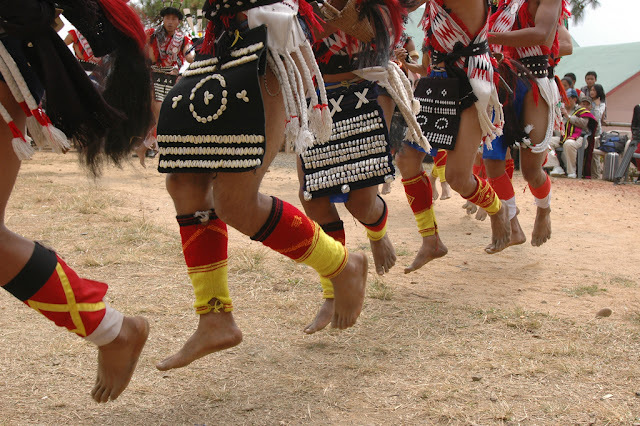 The Sekrenyi here in Khonoma takes place over around five days with a cycle of rituals, ceremonies, and celebrations. 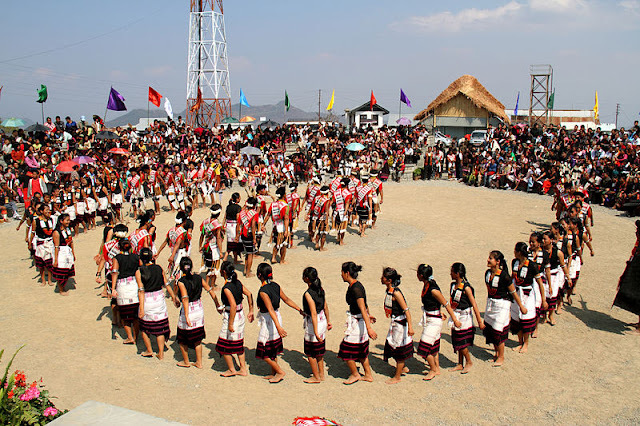 The day before has been a plant gathering ceremony where all the young folks had gone out into the hills and jungle to collect the special plants that would be used to decorate the festival hall. Julian showed me photos on his camera of the ceremory of the young folks return from the jungle with their baskets full of the decoration plants Now today they were all using these reeds, fruits, and branches, fashioning them into colorful strands and décor. Naga troupes sing folk songs and perform traditional dances. Games and sports are also played during this time. Evenings showcase organizing music concerts and food to ensure the celebrations to continue through the night.